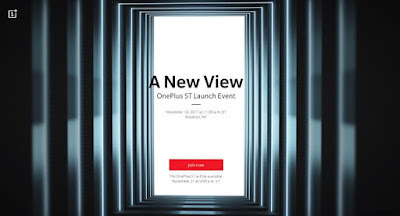 OnePlus is all set to launch OnePlus 5T at an even in Brooklyn, New York on November 16. It has a new tag line “A New View” highlighting the phone’s full-screen display. The phone will likely adopt the design of the OPPO R11s that was introduced in China later last week. It is rumored to feature a 6-inch Full HD+ (2160 x 1080 pixels) 18:9 Optic AMOLED display, 20-megapixel front-facing camera and the fingerprint sensor should be moved to the back. It is also expected to come with an improved 16-megapixel + 20-megapixel dual rear cameras and a bigger battery. The company recently confirmed that the phone will keep the 3.5mm audio jack. OnePlus 5T announcement begins 11:00 a.m. ET (9:30 PM IST) on November 16th. It will be available starting November 21 in North America and Europe and the early bird flash sale will also begin in India on the same date, while the official sale in India will begin November 28. It will be available in China on December 1. 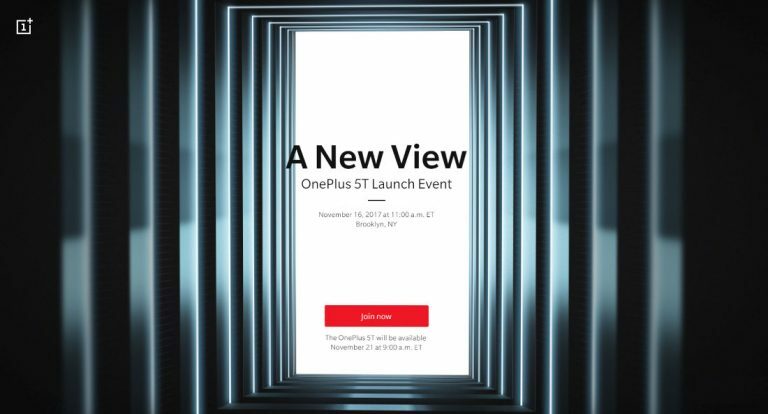 OnePlus 5T will go on Early Access sale on 21st November at 16.30 IST on Amazon.in and oneplusstore.in.